Battery demand accounts for 40% of the lithium market, and the consensus view is that the market will quadruple in size, with batteries accounting for 60% to 70% of demand by 2025. Albemarle Corp (ALB) : the world's largest lithium producer; based in Charlotte, North Carolina. Cobalt 27 Capital Corp (CVE:KBLT) : buys and holds cobalt. It keeps 3,000 tons of cobalt—one of the world’s largest stockpiles of the metal—distributed in warehouses in Antwerp, Belgium; Baltimore; and Rotterdam, Netherlands. 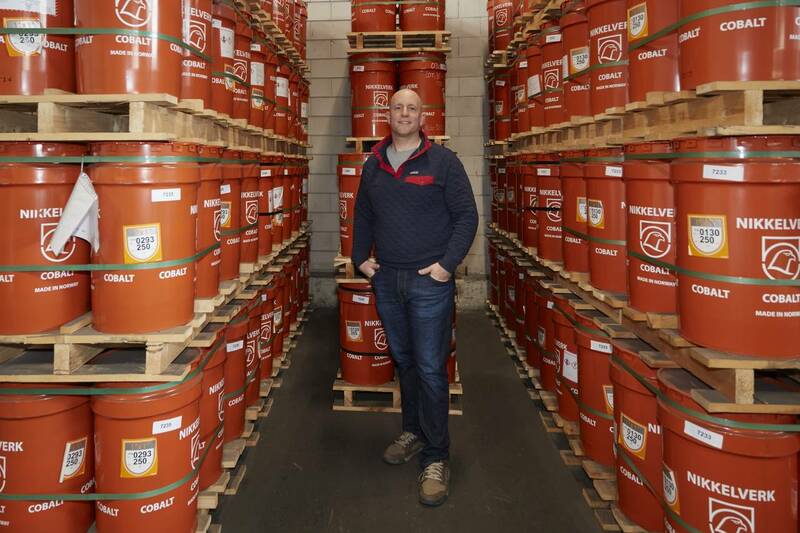 Cobalt 27’s shares have quadrupled since it went public in Toronto in June, giving it a market value of about $370 million. First Cobalt (CVE:FCC) is exploring a 110-year-old silver-mining site in Canada that also produced cobalt. Since cobalt wasn’t in high demand when the silver was mined, much of it was either left in the ground or discarded into waste piles. Katanga Mining Ltd (TSE:KAT) : 86.33% owned by Glencore PLC and is heavily active in cobalt extraction space. 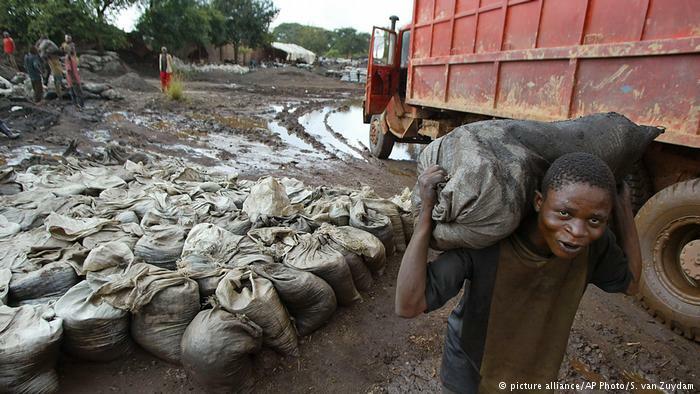 Per S&P Global Market Intelligence, 27% of 2016 mined cobalt production was controlled by Glencore and its subsidiary, primarily in the Democratic Republic of the Congo. Katanga Mining's 75%-owned Kamoto, which has been temporarily closed since 2015 and is expected to re-open later this year, will provide a further boost to Glencore's cobalt share. US Cobalt (OTCMKTS:USCFF) : an all-American source of cobalt; a pure play cobalt project that could put the U.S. on the cobalt map for the first time in history. Lithium Americas (LAC) : The company is developing the preproduction Cauchari-Olaroz lithium brine project in Argentina with its joint venture partner, Sociedad Quimica y Minera de Chile SA, as well as its 100%-owned late-stage Lithium Nevada. Largo Resources Ltd., a vanadium-focused company that saw a rise of 190%, and China Molybdenum Co. Ltd., whose share price increased 164%. China Molybdenum purchased a 56% stake in the Tenke Fungurume copper-cobalt mine in 2016, which was also the second-largest cobalt producer that year. Largo Resources' Maracas Menchen mine in Brazil received an updated mine plan in October, which proposed expanding the production rate to 11,520 t/y vanadium pentoxide in 2019 and 13,200 t/y in 2020. Unlike lithium, cobalt is very scarce. Cobalt prices have risen 270% on the London Metal Exchange to about $80,000 a metric ton since early 2016, creating an opening for companies to specialize in a metal once seen as a waste product. Cobalt is now valued for its ability to withstand the intense heat generated by lithium-ion batteries. London commodities researcher CRU Group predicts that by 2030, annual demand for cobalt for lithium-ion batteries will be triple the roughly 100,000 metric tons a year produced globally today. 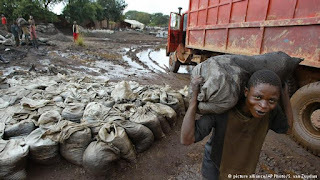 Some of the companies are established mining giants such as Glencore PLC, which has a dominant position in the Democratic Republic of Congo, where over 60% of the world’s cobalt lies. Others are newcomers, such as First Cobalt Corp. , a Toronto-listed cobalt-exploration company whose shares are up more than 90% in the past 12 months. Hedge funds are already hoarding the physical metal to gain exposure, with Swiss-based Pala Investments and China’s Shanghai Chaos stockpiling 17 percent of last year’s global production. Anthony Milewski, the chief executive of Cobalt 27 Capital. Meanwhile, cobalt suffers from a much tighter supply situation than lithium. Cobalt is at risk of tipping into the totally unavailable category. In China, prices for cobalt sulphate, a major feedstock for the battery industry, rose 78% in 2017. "Working conditions are appalling, there is no safety equipment and people risk getting buried alive in hand-made mines,” says Matt Dummett, a researcher at Amnesty International. "I've seen children as young as seven working on the surface, collecting stones and facing brutality and intimidation during long days in the heat." 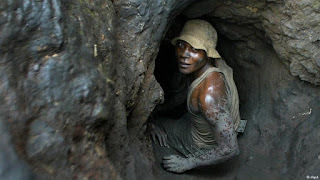 Men tunnel deep into the earth using basic hand tools while others - including women and children - lug heavy bags of rocks from which the cobalt is extracted. Currently, the dominant form of energy storage is lithium-ion technology, but there are advantages to vanadium-flow batteries. They last longer and can be charged and discharged repeatedly without any significant drop in performance. They are also easy to recycle and good for projects where space isn’t an issue. Vanadium has soared more than 130 percent in the past year, outperforming better-known battery components like cobalt, lithium and nickel. It’s an obscure metal, silvery-blue in color and named for Vanadis, the Nordic goddess of beauty. 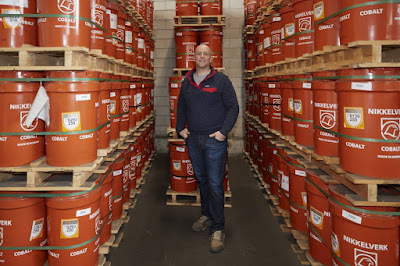 In China, vanadium-flow batteries are emerging as an alternative to lithium-ion, according to Gary Yang, founder of UniEnergy Technologies, a maker of vanadium batteries in Mukilteo, Washington. The government is promoting the technology and among the projects under construction is a backup power facility in Dalian that will be twice the size of Tesla’s plant in Australia. Vanadium pentoxide, a powder form of the metal used in batteries and the steel industry, has rallied 27 percent this year to $12.38 a pound, according to Metal Bulletin Plc. Prices are getting a boost from China, where authorities are demanding stronger steel for buildings in earthquake-prone areas. (Feb 18) Apple, one of the largest end users of cobalt) is in talks to buy long-term supplies of cobalt directly from miners for the first time, seeking to procure "several thousand" metric tons of cobalt per year for a period of at least five years, Bloomberg reports. The strategy is designed to buffer Apple's (NASDAQ:AAPL) reserves of the key lithium ion battery ingredient amid industry fears of a shortage driven by the electric vehicle boom. Jan. 16, 2018: Toyota Tsusho, the trading arm of Toyota Motor (TM), said it will buy a stake in lithium miner Orocobre (ORE.Australia).